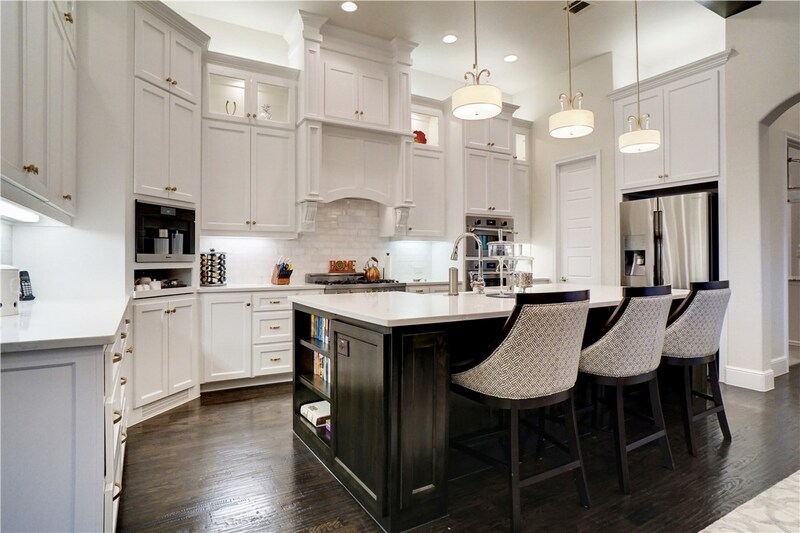 Create the perfect family gathering place with our elegant kitchen remodels. 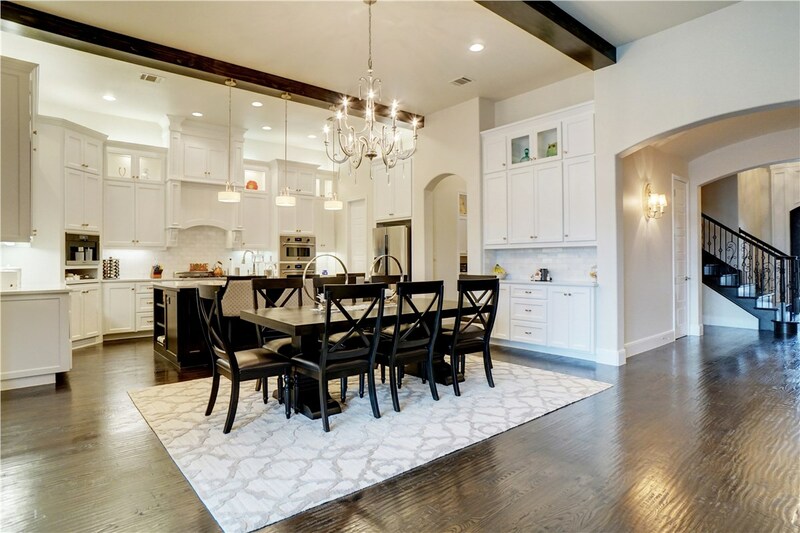 A kitchen renovation is no small feat, making it imperative to work with reliable, knowledgeable home remodeling experts for any kind of kitchen remodeling in Dallas. 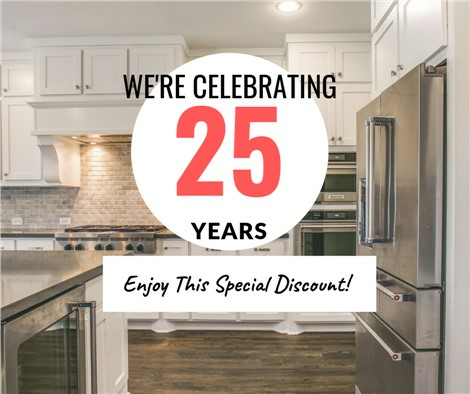 Here at Statewide Remodeling, we have more than 20 years of experience in the industry and we have earned the complete trust of our customers. You can count on us to be professional and to work with you every step of the way to ensure the renovation process goes smoothly. A kitchen remodel is a multi-phase process that includes conception, design, implementation and maintenance. You can count on us to expertly guide you through each phase of the project, to listen and understand your needs, and to carry out a successful renovation that will exceed your expectations. 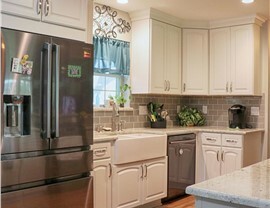 As a top home contractor, we offer a variety of kitchen remodeling solutions for projects ranging from minor facelifts to complete renovations. 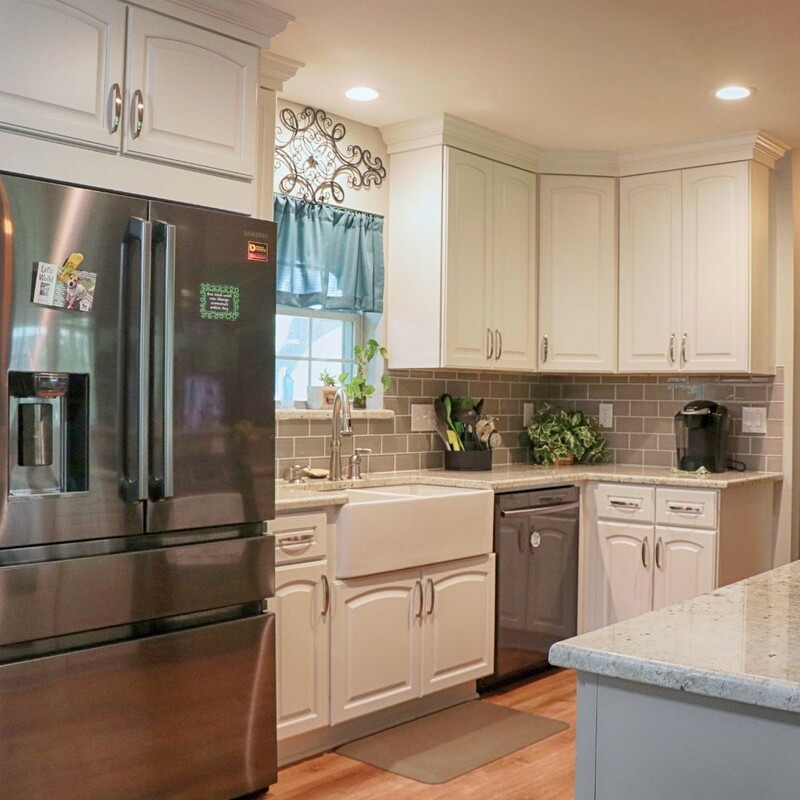 One of the fastest emerging kitchen remodeling trends that homeowners are requesting now is a Transitional Kitchen Design, a style that combines traditional and contemporary styles with creative, personal touches that reflect your taste. No matter whether you’re looking to create a modern kitchen with sleek cabinets and granite countertops or one that goes for a harmoniously rustic look, you can depend on our experts to help you create the design that speaks to you. 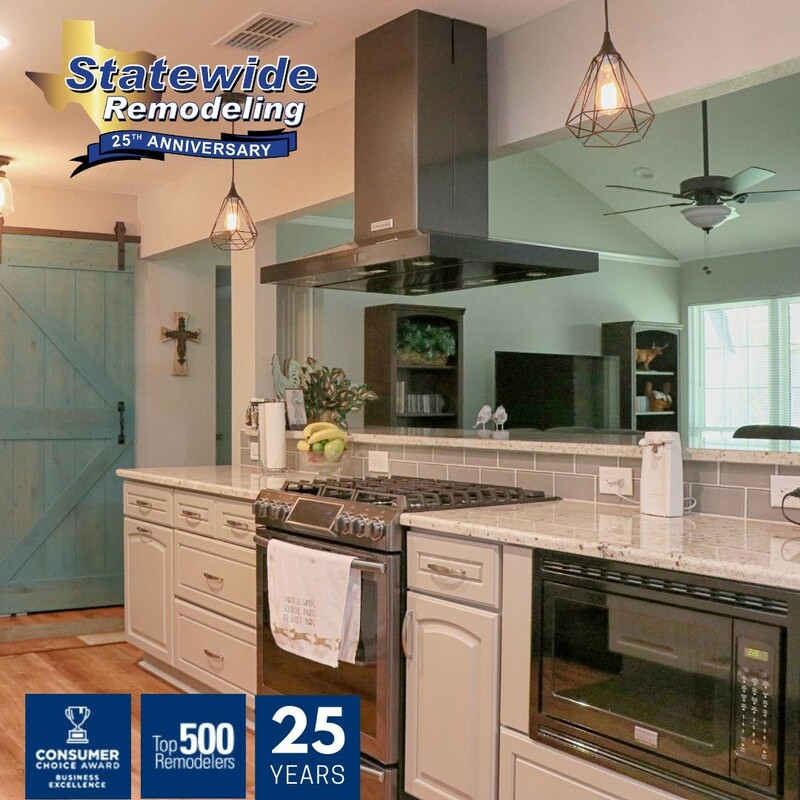 If you have additional questions about the processes we would employ as part of your kitchen remodeling solution in Dallas, feel free to contact Statewide Remodeling. Not only will we offer you a free estimate and a satisfaction guarantee in writing, but our design specialists will also inform you about our recommended approach to step of the remodeling project—from floors and lighting to faucets, showers, fixtures and cabinets. Call us or fill out our online form to get in touch and schedule your in-home consultation. 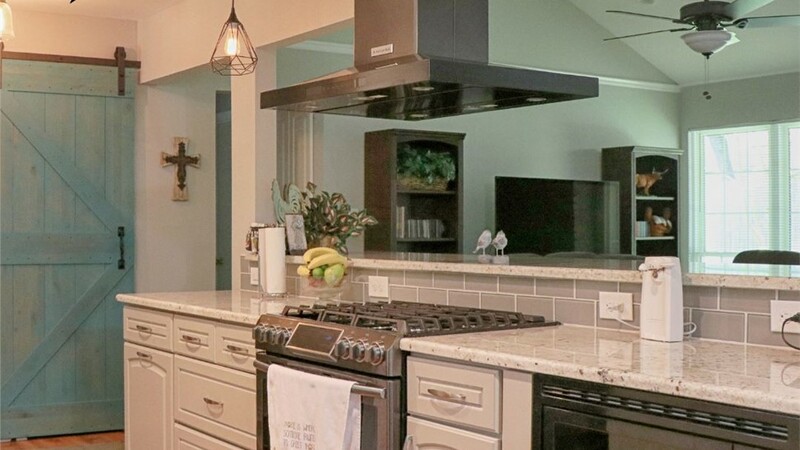 You can also visit our Dallas showroom for a glimpse of the beautiful kitchen remodeling options that we offer.